Jonathan Edwards (October 5, 1703 – March 22, 1758) was a Christian preacher and theologian. Edwards "is widely acknowledged to be America's most important and original philosophical theologian," and one of America's greatest intellectuals. Edwards's theological work is broad in scope, but he is often associated with Reformed theology, the metaphysics of theological determinism, and the Puritan heritage. Edwards was born in East Windsor, Connecticut, to Timothy Edwards, pastor of East Windsor, and Esther Edwards. The only son in a family of eleven children, he entered Yale in September, 1716 when he was not yet thirteen and graduated four years later (1720) as valedictorian. He received his Masters three years later. As a youth, Edwards was unable to accept the Calvinist sovereignty of God. He once wrote, "From my childhood up my mind had been full of objections against the doctrine of God's sovereignty… It used to appear like a horrible doctrine to me." However, in 1721 he came to the conviction, one he called a "delightful conviction." He was meditating on 1 Timothy 1:17, and later remarked, "As I read the words, there came into my soul, and was as it were diffused through it, a sense of the glory of the Divine Being; a new sense, quite different from any thing I ever experienced before… I thought with myself, how excellent a Being that was, and how happy I should be, if I might enjoy that God, and be rapt up to him in heaven; and be as it were swallowed up in him for ever!" From that point on, Edwards delighted in the sovereignty of God. Edwards later recognized this as his conversion to Christ. In 1727 he was ordained minister at Northampton and assistant to his maternal grandfather, Solomon Stoddard. 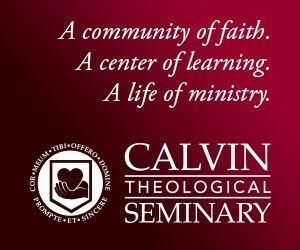 He was a student minister, not a visiting pastor, his rule being thirteen hours of study a day. In the same year, he married Sarah Pierpont, then age seventeen, daughter of James Pierpont (1659–1714), a founder of Yale, originally called the Collegiate School. In total, Jonathan and Sarah had eleven children. Solomon Stoddard died on February 11th, 1729, leaving to his grandson the difficult task of the sole ministerial charge of one of the largest and wealthiest congregations in the colony. Throughout his time in Northampton his preaching brought remarkable religious revivals. Jonathan Edwards was a key figure in what has come to be called the First Great Awakening of the 1730s and 1740s. Yet, tensions flamed as Edwards would not continue his grandfather's practice of open communion. Stoddard, his grandfather, believed that communion was a "converting ordinance." Surrounding congregations had been convinced of this, and as Edwards became more convinced that this was harmful, his public disagreement with the idea caused his dismissal in 1750. Edwards then moved to Stockbridge, Massachusetts, then a frontier settlement, where he ministered to a small congregation and served as missionary to the Housatonic Indians. There, having more time for study and writing, he completed his celebrated work, The Freedom of the Will (1754). Edwards was elected president of the College of New Jersey (later Princeton University) in early 1758. He was a popular choice, for he had been a friend of the College since its inception and was the most eminent American philosopher-theologian of his time. On March 22, 1758, he died of fever at the age of fifty-four following experimental inoculation for smallpox and was buried in the President's Lot in the Princeton cemetery beside his son-in-law, Aaron Burr. Having graduated from Yale at the mere age of seventeen, Jonathan Edwards is ranked among America's most pre-eminent philosopher-theologians. Edwards wrote Freedom of the Will in 1754 while serving in Massachusetts as a missionary to a native tribe of Housatonic Indians. In this text, Edwards investigates the contrasting Calvinist and Arminian views about free will, God's foreknowledge, determinism, and moral agency. As Edwards attempts to resolve the contention surrounding these topics, he relies on a variety of textual resources including the Bible and philosophy works of enlightenment thinkers. This book can be challenging due to Edwards' emphasis on philosophical reasoning, but Edwards strives to educate his audience by frequently defining confusing terms and explaining controversial passages in depth. Freedom of the Will is relevant to every Christian because it addresses difficult questions about desire, choice, good, and evil. Written in 1746 during the First Great Awakening, Religious Affections remains an important and challenging Christian treatise. Concerned that many people do not display true "religious affections," Jonathan Edwards attempts to "discern...wherein true religion does consist." Balancing between extreme "intellectualism" and extreme "emotionalism," Edwards argues that emotions are an important part of true religion, but that one must distinguish between legitimate and illegitimate emotions. He provides both "negative" or unreliable signs of true religious emotions, and "positive" or reliable signs of true religious emotions. Religious Affections is thus profitable for study even today, and many contemporary theologians and pastors have found Edward's work insightful and significant. For its historical importance and its continuing insights, Religious Affections is highly recommended. Jonathan Edwards is one of America's greatest philosophers and theologians, and his sermons and texts are treasured pieces of American Puritan literature. He spent much of his life as a missionary to Native Americans, and his dedication to the faith has inspired generations of Christians. Edwards is known for both his high intelligence and reasoning prowess, as well as for the raw and tangible passion he expressed in his sermons. Known as a "fire and brimstone" preacher, Edwards converted many 18th century Americans. 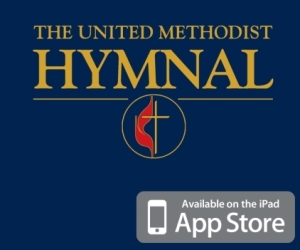 This collection of sermons includes his most famous, "Sinners in the Hands of an Angry God," a powerful expression of God's power and justice. This volume is an excellent starting point for those looking for a diverse selection of Edwards' messages. 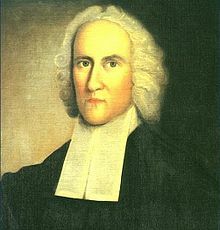 Having graduated from Yale at seventeen, Jonathan Edwards is ranked among America's most preeminent philosopher-theologians. Both in academic and pastoral settings, Edwards was particularly famous for his staunchly Calvinist ideas. In his Treatise on Grace (as well as in other well-known works, such as his Freedom of the Will treatise), Edwards defends Calvinist teachings on grace, predestination, sanctification, and divine providence. The theologian meant this essay to serve as an educational tool. In detail, he systematically surveys and explains each major point of the doctrine of grace. Edwards holds his readers’ ability to understand to high standards, and he intentionally challenges them. While Edwards’ text may be difficult, reading it carefully is assuredly rewarding. Many often forget that Jonathan Edwards, the much-revered revivalist preacher of the First Great Awakening, was also a rigorous scholar in many fields. In this essay, he explores the traditional doctrine of the Trinity philosophically and scripturally. Though he originally intended the essay to aid in explaining the doctrine to laypersons of the church, present-day readers may have a bit more difficulty with the dated language. In spite of this, much insight can come from reading this essay carefully, even if only insight into one of the great minds of American theology and evangelism. Jonathan Edwards dedicated his time to the service of God, spending the majority of his life as a preacher, theologian, and missionary. Edwards' brilliance as a theologian and scholar is undeniable in this extensive collection of his works. This volume publicizes many aspects of Edwards' personal life. Readers are invited to view excerpts from Edwards' personal letters and diary. This volume also contains a wide array of Edwards' professional works, ranging from theological discourses and philosophical observations, to impassioned spiritual treatises and sermons. Throughout this volume, Edwards addresses several fundamental issues, including salvation, original sin, marriage, free will, and God's sovereignty. Edwards' visionary success as a pastor and his clarity as a writer shine abundantly throughout this impressive collection of his works. Jonathan Edwards dedicated his time to the service of God, spending the majority of his life as a preacher, theologian, and missionary. Edwards' brilliance as a theologian and scholar is undeniable in this extensive collection of his works. This volume includes the "Life and Diary of the Rev. David Brainerd," a biography written by Edwards about his contemporary, David Brainerd, who served as a missionary to the Native Americans. This volume also contains a wide array of Edwards' professional works, ranging from theological discourses and biblical exegesis, to impassioned spiritual treatises and sermons. Throughout this volume, Edwards addresses several fundamental issues, including salvation, original sin, marriage, free will, hell, angels, and God's sovereignty. Edwards' visionary success as a pastor and his clarity as a writer shine abundantly throughout this impressive collection of his works.